Real estate investors are flocking to Spain which implemented a new residency scheme. The new residency scheme allows foreign real estate investors to buy residential properties worth millions. 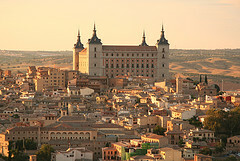 Spain real estate market aims to be another paradise for Indian real estate investors. Real estate investors of India find the property market of Spain more attractive. With the implementation of new residency scheme, foreign real estate investors are permitted to buy residential properties worth about Rs.1,15,82,745 (€160,000). Spanish government aims to attract foreign investment through their new policy. Indian real estate investors are targeted mainly. Their higher spending on real estate properties is widely known. The new residency scheme is expected to boost Spain’s property market. The residency scheme will sustain the falling prices. Further it will reduce the excess real estate properties existing in Spain. Viewing Spain’s residency scheme, Portugal and Ireland are also about to implement similar schemes. They even permit higher amounts of foreign investments. Portugal allows €400,000 of foreign investment. Meanwhile Ireland permits foreign investment up to €500,000. Details of the new scheme are unavailable. Its tax implications are to be announced. Only after the announcement one can predict how this scheme will attract Indian real estate investors. The high net worth individuals (HNIs) hope to attain permanent residences in Spain in view of enabling their children for overseas education. Sonu Iyer of Ernst & Young said that Spain will turn out to be a launching pad for Indian Investors into Europe. He opined that the scheme would be seen as a better chance for the high HNIs to lead a life in the Mediterranean after retirement. Jones Lang LaSalle India’s chairman and country head Mr. Anuj Puri is sure of the Indian interest in Spain’s real estate properties. He points to the sluggish Indian real estate market. It is left without any interest. However he added that the interest in Spanish real estate will be determined by the possible job opportunities. With higher job opportunities Dubai, USA and UK remain more preferred. This entry was posted in Real Estate News and tagged Real estate India, real estate investment, Real Estate Market, residency policy Spain, Spain by designer. Bookmark the permalink.